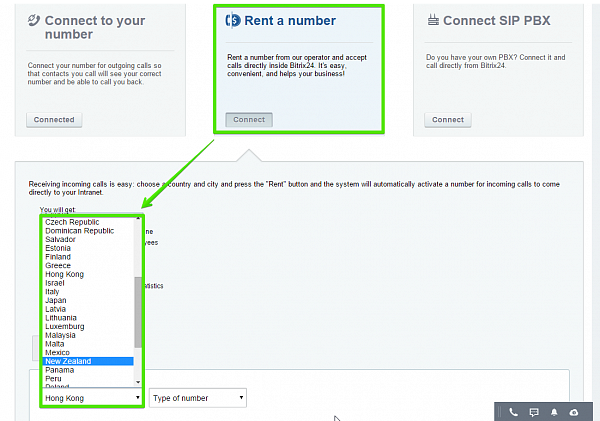 Most likely you already know about built-in telephony that Bitrix24 comes with. Many of our clients use Bitrix24 as their virtual call center but even more couldn’t, because we did not support local telephony in their countries. That changed yesterday. We’ve just expanded the list of countries where you can rent a local phone number and call at local rates from 4 to 43. We’ve also dropped the price for renting a phone number from $25 to $6 a month ($11 in some locations). If your country is on the list, you can rent a local phone number by going to Telephony – Phone Numbers – Rent A Phone Number.